The famous British-based company, Orange UK has recently launched the new Iqua BHS-603 SUN which the company claims as the world’s first solar-powered bluetooth headset. With its ability to draw power from sun light, the consumers can now talk/chat without worrying about battery life. According to the company, the solar-powered headset is compatible with wide range of bluetooth-enabled devices including PDAs, PCs, mobile phones as well as Apple iPhone. In total darkness, the 603 SUN headset’s fully charged battery can support up to 9 hours of talk time or up to 200 hours of standby time. 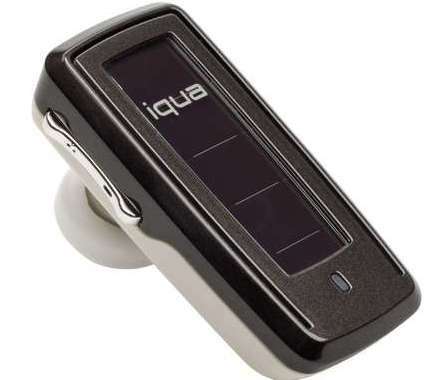 The new Iqua BHS-603 SUN bluetooth headset which weights only 14g is available exclusively to Orange users for three months with a price tag of £49.99 or about $100.